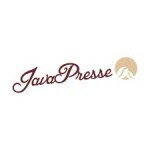 Java Presse is an online coffee club membership platform, giving members the chance to enjoy fresh, free trade coffee that has been organically grown from partners around the world. On top of that, Java Presse promises that everyone of their deliveries ships within two hours of its roasting time to make sure that customers get the coffee when it is as fresh as possible. Different coffee subscription levels are available depending on the type of coffee, the quantity of coffee, and the duration of the subscription are concerned. Brewing equipment, coffee grinders, and other accessories can be purchased from this company at a discount as well.